Fast-food chain Panera says it will publicly list more than 150 artificial additives it has removed or will remove from its products in an “effort for food transparency.” Panera’s move is the latest amid similar initiatives by other fast food companies. 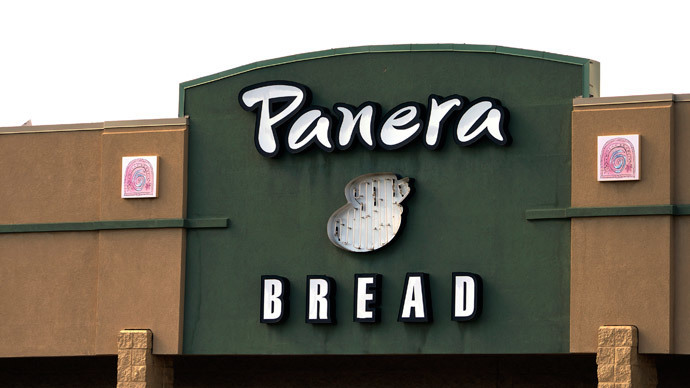 Panera, also known as St. Louis Bread Company, called the condemned ingredients its “No-No List.” The bakery-cafe restaurant said additives not yet pulled from its foods will be removed by 2016. "This is like our own 'Good Housekeeping Seal of Approval' that says: This is a transparent list of ingredients you won't find at Panera," Panera CEO Ron Shaich told USA Today. "This is truly the first, real salvo in the effort for food transparency." Some of the banned ingredients include high fructose corn syrup and sulfites. "This is really hard when you have 465 different ingredients. But I want to serve food that's clean," Shaich added. "I want to serve food that I feel good about my daughters eating." Panera also announced that starting Wednesday, it will only sell salads with "clean" salad dressings that are produced without artificial sweeteners, colors, flavors or preservatives. The company’s “No-No List” does not yet include ingredients in the company’s beverages, though Panera executives said they are working towards that end as well. While some have praised Panera choice to drop additives, others said the decision does not address high-calorie counts or use of excessive sugar. "Yellow 5, Yellow 6, Red 40, and other artificial food dyes shouldn't be in the food supply in the first place, but I applaud Panera for getting rid of them," Michael Jacobson, executive director the Center for Science in the Public Interest, told NBC’s Today. "But just because something is artificial or its name is hard to pronounce doesn't mean it's unsafe. Some of the additives Panera is ditching are perfectly innocuous, such as calcium propionate or sodium lactate—so those moves are more about public relations than public health." Panera’s move follows similar decisions by restaurants and major food producers to nix additives, genetically modified ingredients, and antibiotics important for medical uses in humans. Last month, Chipotle became the first major fast-food chain to drop genetically engineered ingredients, and Kraft announced it was moving away from artificial coloring in its macaroni and cheese. Last year, Subway said it was removing a plastic-based chemical from its bread. In 2009, Starbucks announced it was moving away from baked goods containing high-fructose corn syrup, artificial flavors, and dyes. In addition, Tyson Foods recently said it is eliminating use of medically-important antibiotics in its chickens. Perdue Foods announced last September that 95 percent of its chickens were raised without medically important antibiotics. In March, McDonald’s announced it will stop buying chickens raised on human antibiotics within the next two years. Chick-fil-A, the largest restaurant seller of chicken in the US, announced in February 2014 it would phase out antibiotic-raised chicken over a period of five years. Panera and Chipotle already serve antibiotic-free chicken.